Put on latex gloves, with a knife and a cutting board, cut the stems off the peppers. then slice the jalapeño peppers into 1/4 inch circles. Place in mason jar. Dispose of latex gloves. Pour the Cuervo gold over in the mason jar and preserve the bottle and cap. Cover tightly and shake every 24 hours. 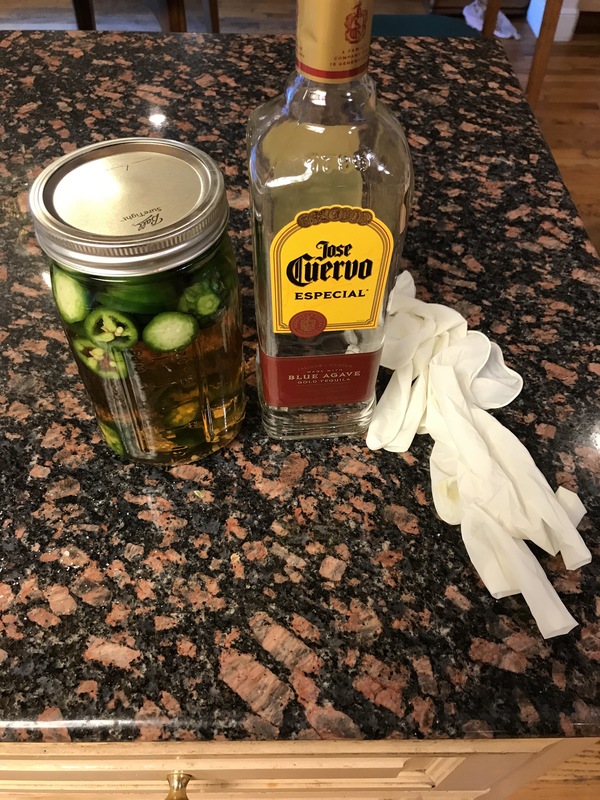 After three days, strain the tequila, compost the jalapeño peppers, and pour the tequila back into the bottle. Label it and use it for your favorite margarita recipe.